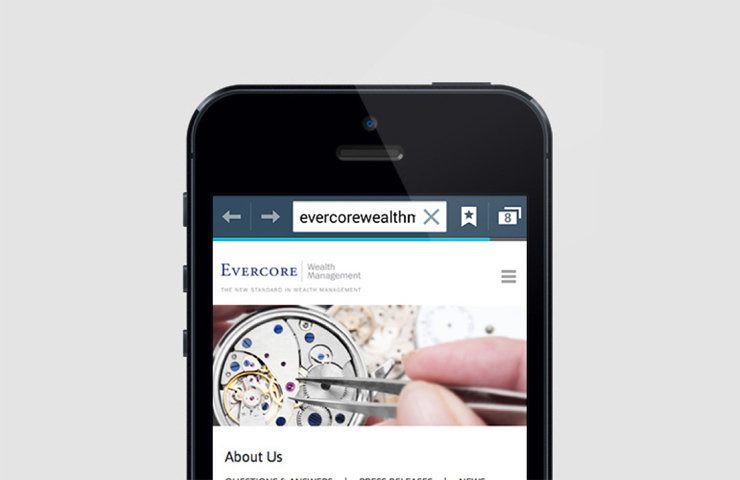 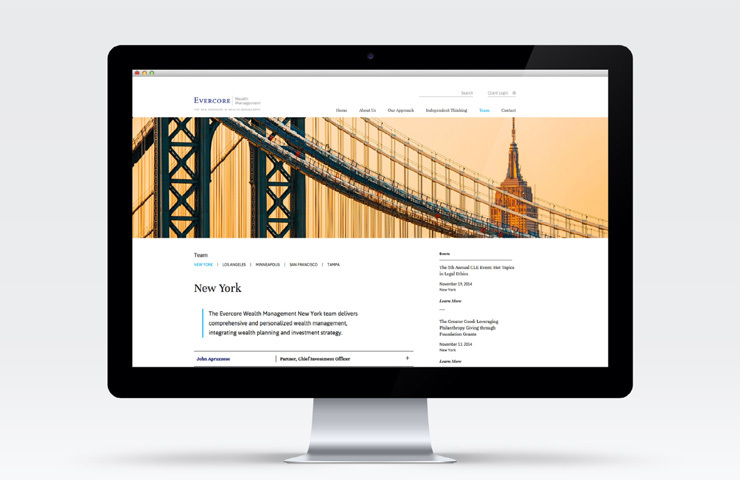 Evercore Wealth Management needed a new website design and presentation for its thought leadership journal in order to effectively communicate the extensive knowledge and brand assets of the firm. 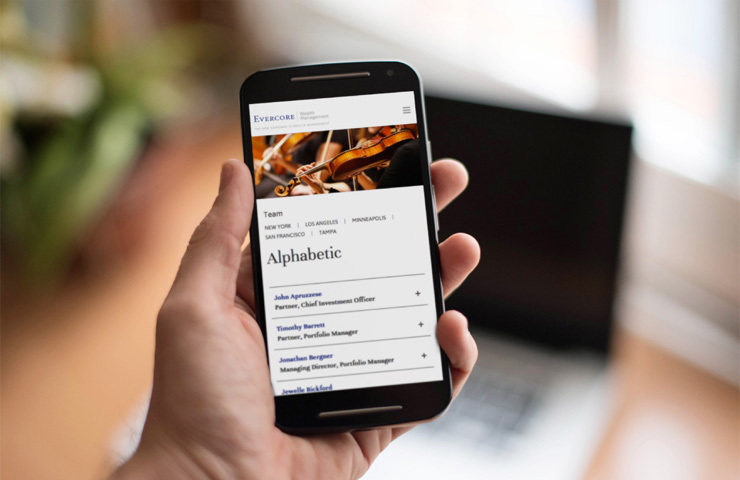 Our team worked to manifest these unique qualities, helping to tell stories of success, leadership, and integrity. 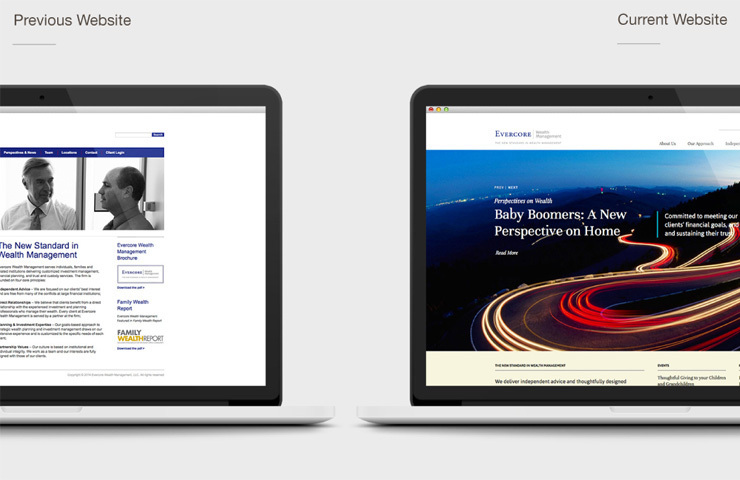 A round of stakeholder interviews laid the foundation for a new website architecture and wireframe development. 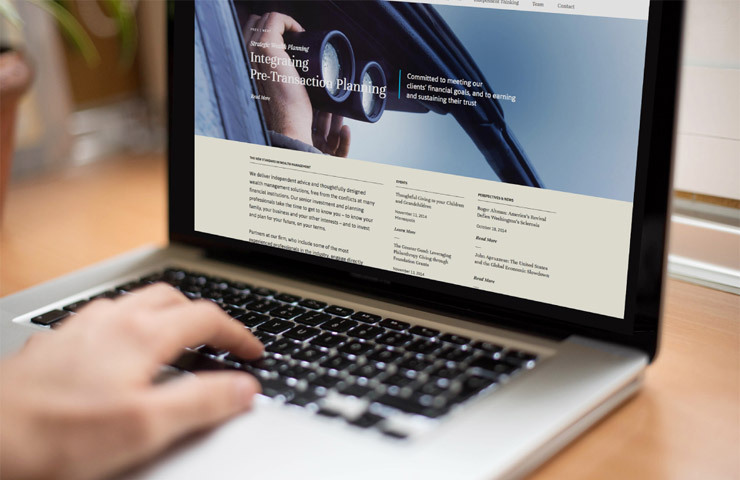 A distinctive, brand-appropriate, new visual identity was created and applied to the website as well as the flagship thought leadership publication, Independent Thinking. 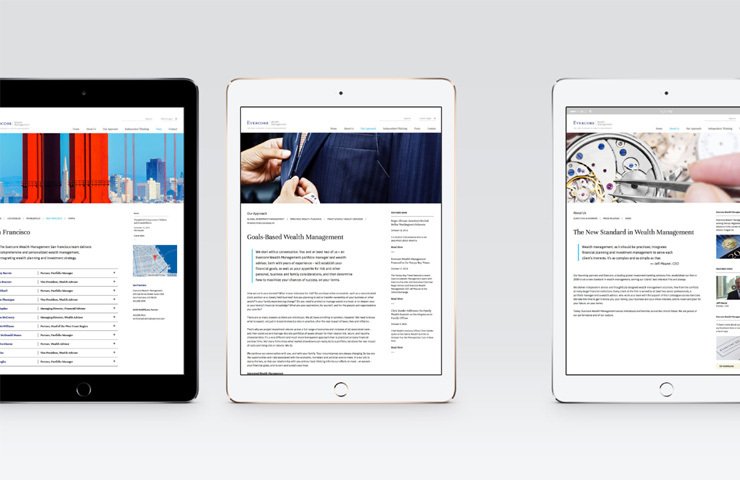 New videos of the partners were also provided to bring the company’s unique insights, capabilities, and experience to life online.